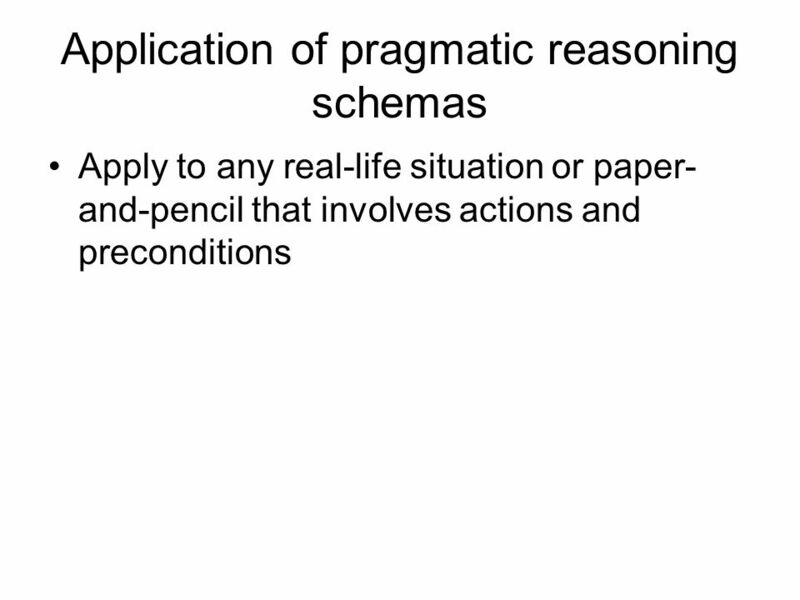 2 Schemas (i.e., memories) P1: if the action is to be taken, then the precondition must be satisfied. 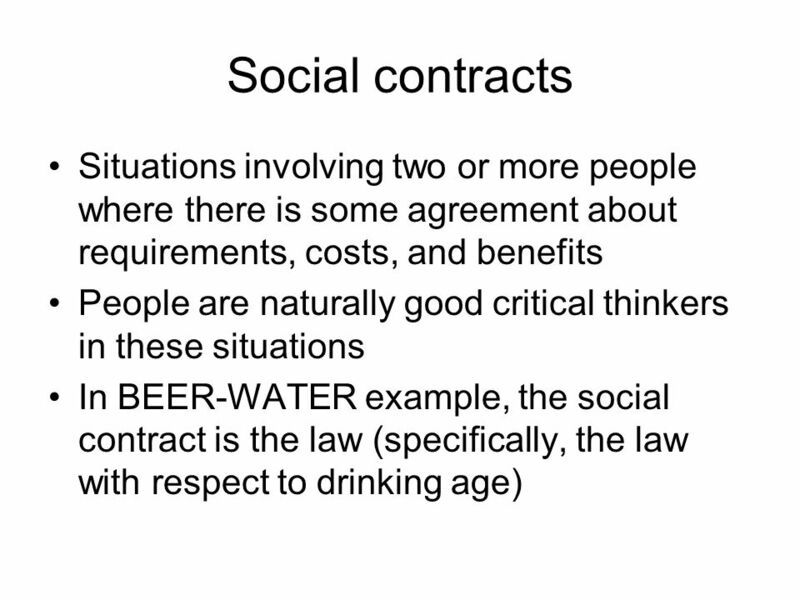 P2: if the action is not to be taken, then the precondition need not be satisfied. 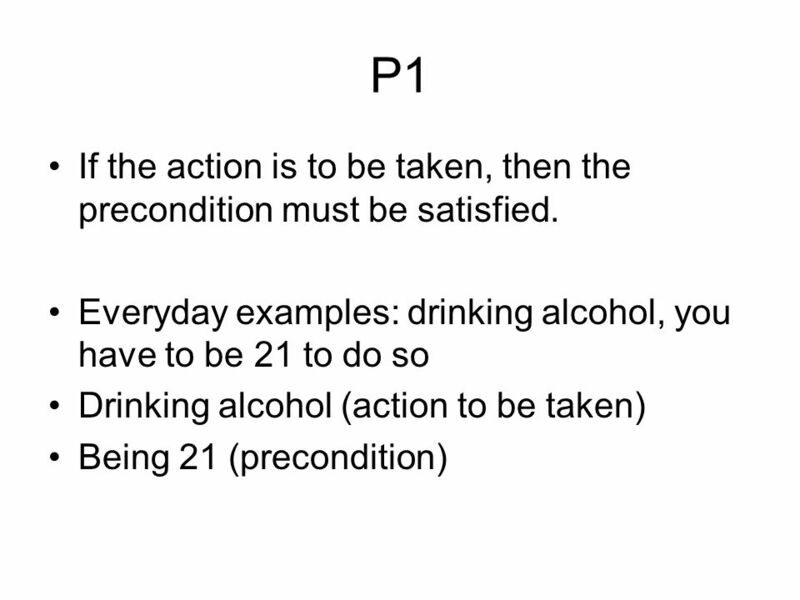 P3: if the precondition is satisfied, then the action may be taken. 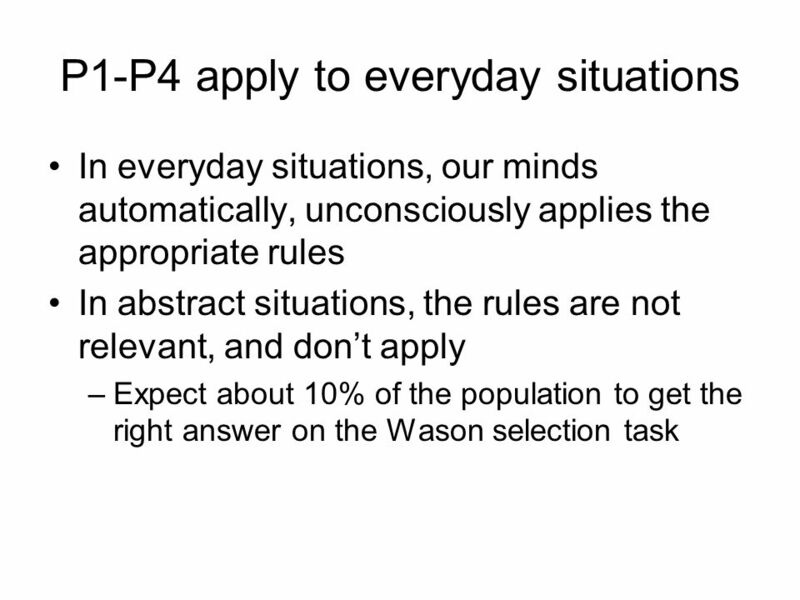 P4: if the precondition is not satisfied, then the action must not be taken. 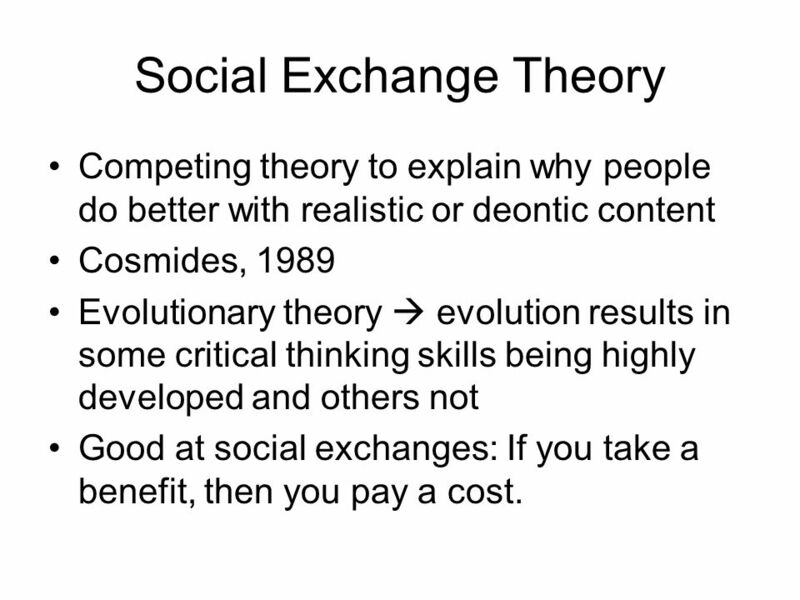 Competing theory to explain why people do better with realistic or deontic content Cosmides, 1989 Evolutionary theory  evolution results in some critical thinking skills being highly developed and others not Good at social exchanges: If you take a benefit, then you pay a cost. 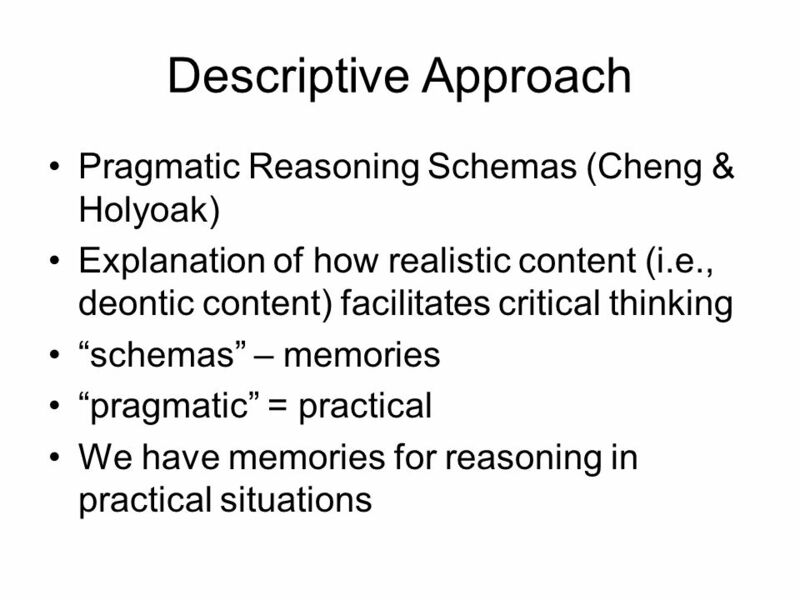 Download ppt "Descriptive Approach Pragmatic Reasoning Schemas (Cheng & Holyoak)"
WASON CARD SORT: INTRODUCTION Week 2 Practical. WEEK 2 PRACTICALWASON CARD SORT WEEK 1 WEEK 2 WEEK 3 WEEK 4 WEEK 5 WEEK 6 WEEK 7 WEEK 8 WEEK 9 WEEK 10. 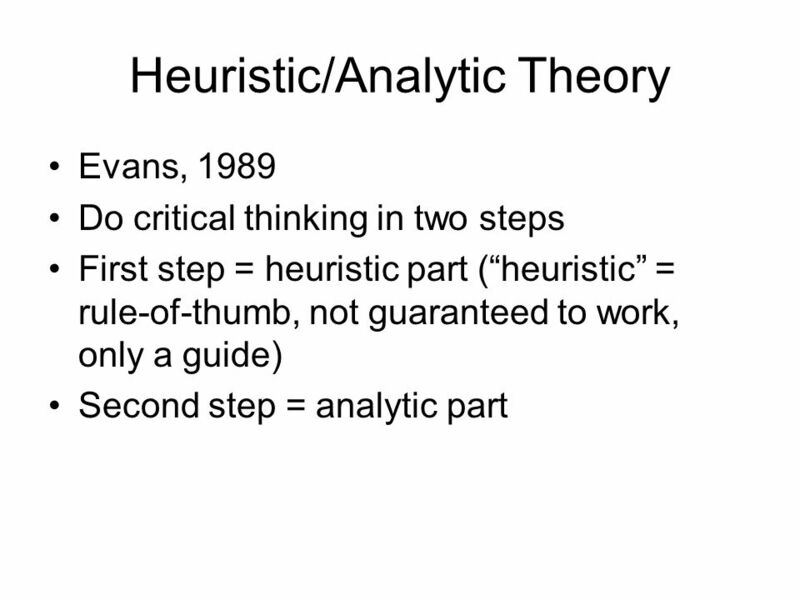 Evolutionary Psychology, Workshop 2. 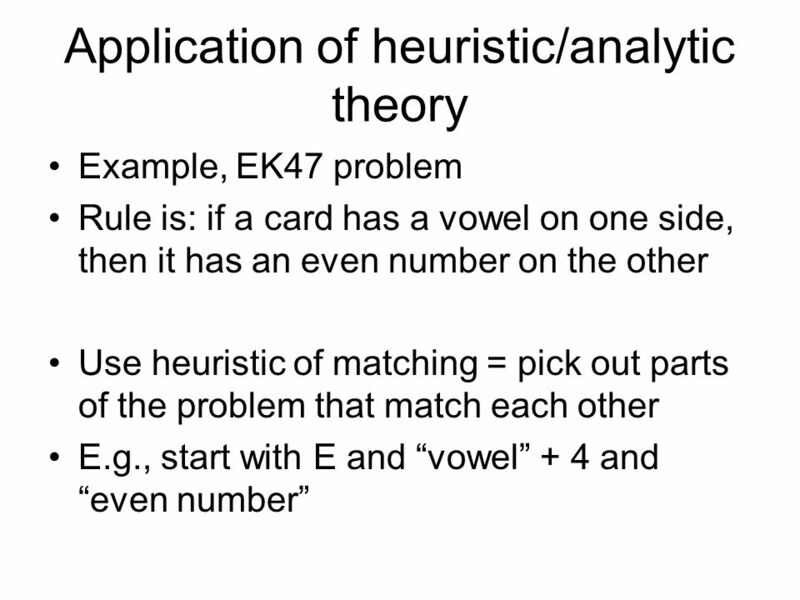 Domain-Specific Reasoning. 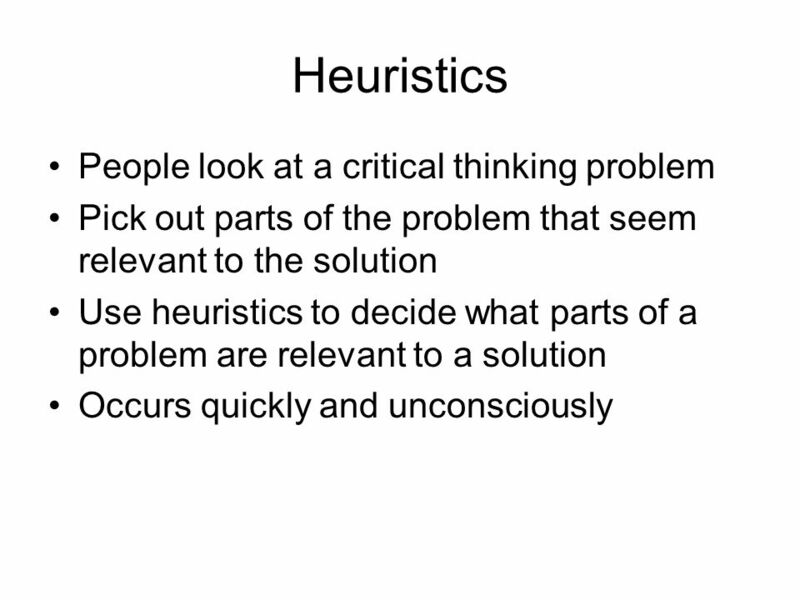 Deductive Reasoning. 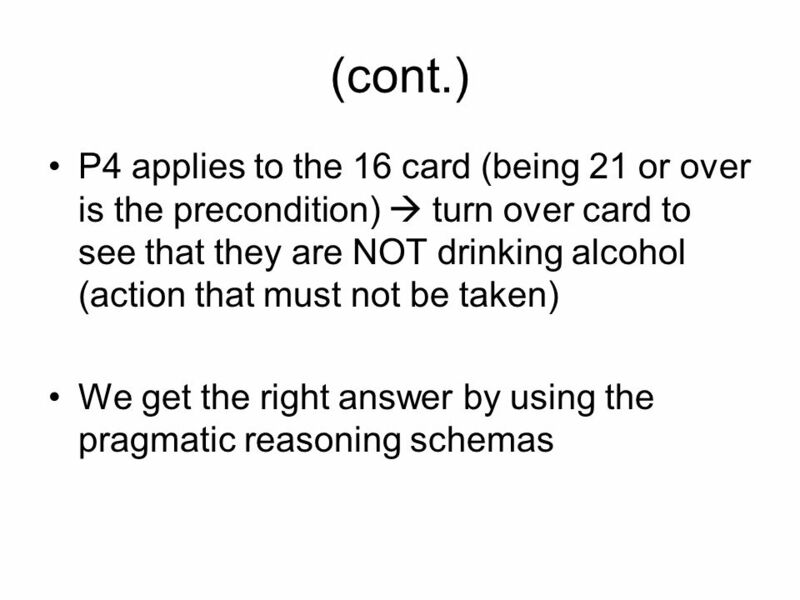 Are the following syllogism valid? A syllogism is valid if the conclusion follows from the premises All soldiers are sadistic Some. 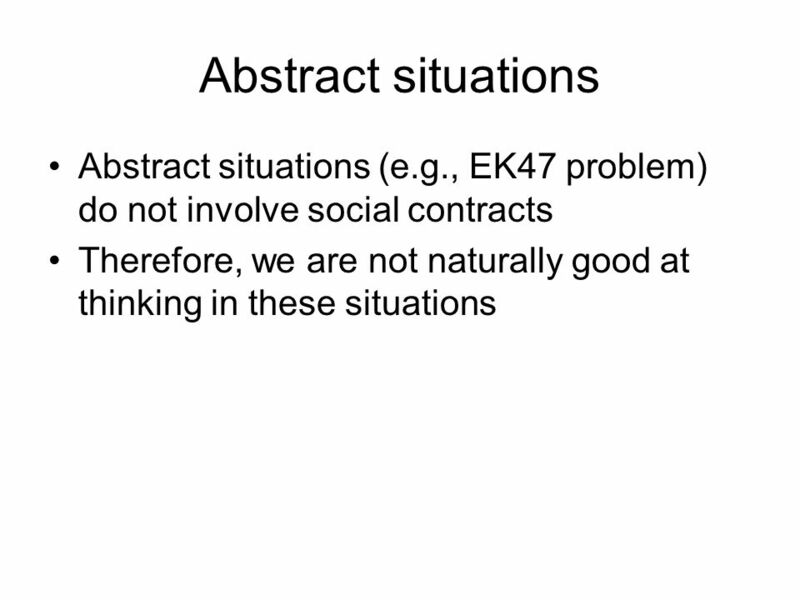  Cognitive Modules › Background  Wason Selection Task › Purpose › Puzzles vs Social Contract problems  Fiddick & Erlich’s Paper › Introduction › Methods. Logical Reasoning: Deduction. Logic A domain-general system of reasoning Deductive reasoning System for constructing proofs –What must be true given certain. 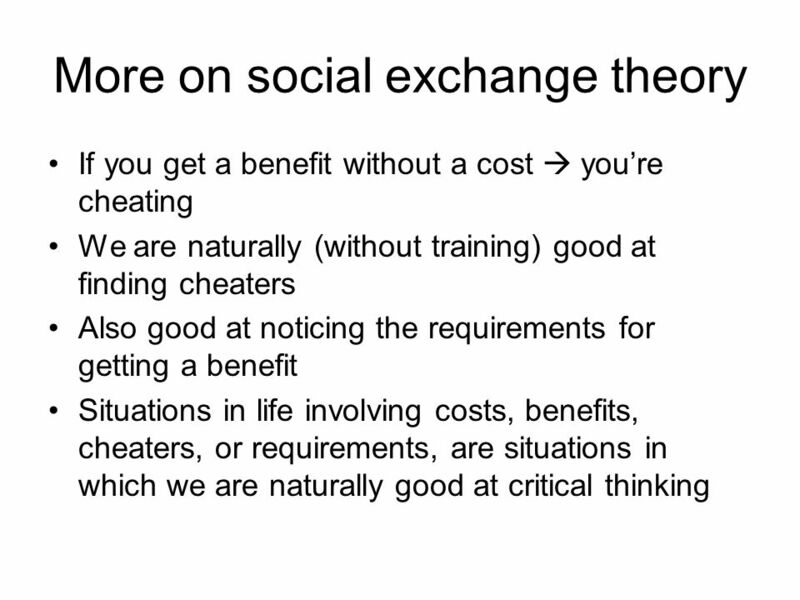 Cooperation Reciprocators, Cheaters, and Everyone Else. Getting Started on Your Project. General Lab Guidelines Be respectful and courteous to others Listen when others are speaking Turn cell phones off please! 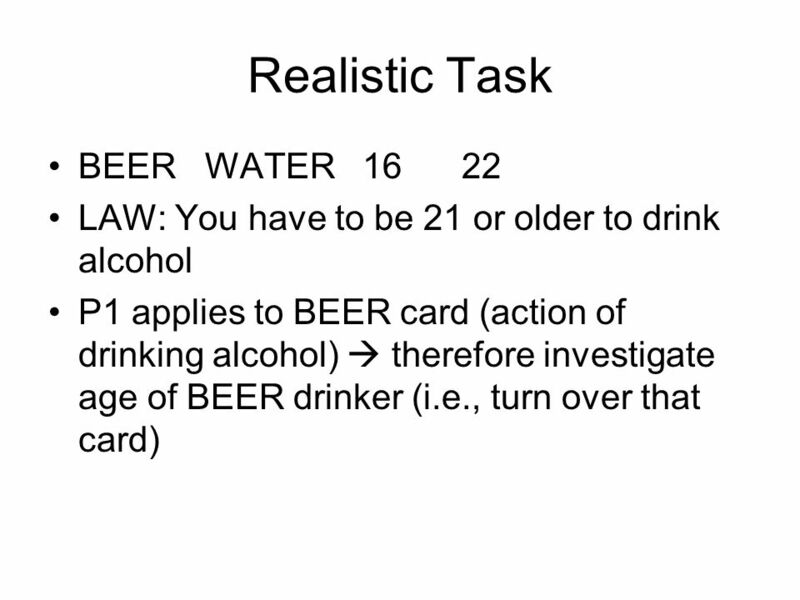 Reasoning Psych 414 Prof. Jessica Sommerville. 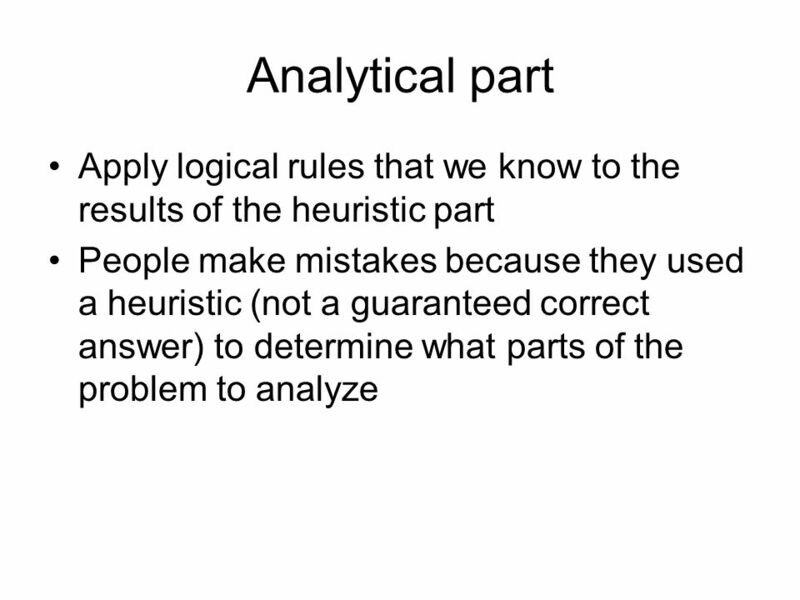 Learning objectives Define reasoning and recognize changes in formal reasoning Identify limitations of. ALEC 604: Writing for Professional Publication Week 6: Literature Review.